An ad by Moschino shows some models vandalising a car and other objects, within a urban scenario. Two models express an extreme gesture of wrath, which is also depicted in artworks from Antiquity and the Renaissance. Two other women are represented on the canvas: they are two maenads, followers of Dyonisus, one taken from a painting by Baldassarre Peruzzi, the other from a Greek vase. 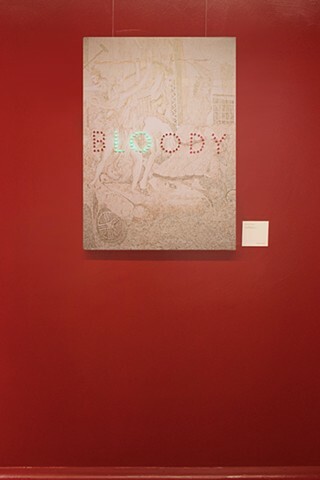 A word reproduced with LED lights spells “bloody”, as well as body”. Images hide other images, within the domino effect of the representation of affect.